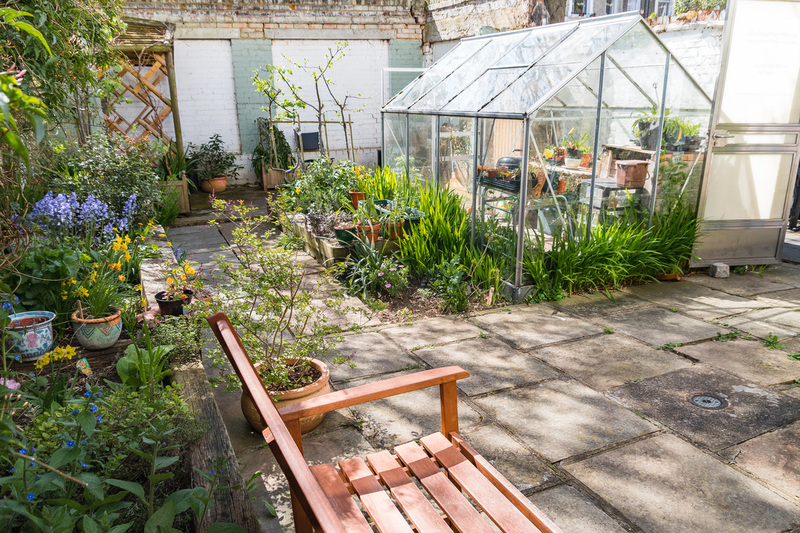 The Stress Project is located in a peaceful, residential area in Islington, 7 minutes walk from Holloway Road tube station (Piccadily Line). 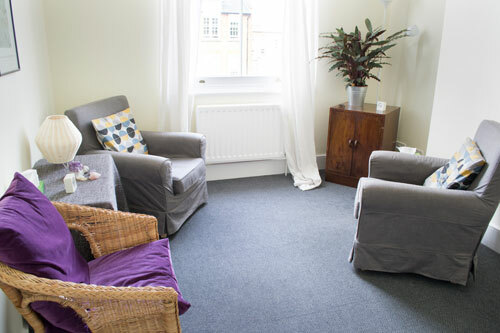 It provides the ideal location for both individual and group therapies, and space is available for regular and ad hoc bookings, 8 am to 10 pm, 7 days a week. The building is clean, tidy and warm, and tea and coffee making facilities are available. There is a waiting area for clients. We have a range of spaces equipped for both talking and body therapies, as well as a larger space for teaching and workshops. The revenue we generate from hiring space helps us to provide therapies for disadvantaged groups in the community at low cost. Discounts are available for block bookings. Each of our therapy rooms are equipped for both talking and body therapies, with comfortable chairs, massage tables, and shiatsu futons. We can provide pillows, blankets and paper rolls. The Healing room is a therapy room perfect for massage, shiatsu, reflexology, counselling and other therapies. Suitable for one to one therapies or small groups. There is a futon, massage couch, reflexology chair, desk, stool, clock, tissues and blackout blind. Please ask if you require any other equipment. The Healing room is situated on the third floor, up six flights of stairs. The Ocean room is a quiet therapy room perfect for talking and complementary therapies. There is a massage couch and two comfy armchairs, tea making facilities, clock and tissues available. Please ask if there is any other equipment you require. The Ocean room is on the third floor up six flights of stairs. The Zen room is a quiet therapy room, perfect for all therapies for one to one or small groups. It is also good for meetings. There is a massage table available as well as comfy chairs, tissues, clock, tea making facilities and a water cooler. The Zen room is located on the first floor up two flights of stairs. We have a self-contained area on the ground floor which consists of 2 large rooms, a kitchen area and toilet, with access to a lovely walled garden and patio. The rooms are equipped with folding chairs, flip chart, and floor cushions. ​Please download our room hire booking form, or for more information about hiring space at the Stress Project, contact stressproject@hng.org.uk or call 020 7700 3938. The Old Fire Station is the Stress Project's sister community centre and is just a few streets away. It's a warm and welcoming multi-purpose community space in a converted Fire Brigade Station. The Old Fire Station has a variety of offices, deskspaces and meeting/presentation/rehearsal rooms to hire by the hour, or let on long or short term. Please call 0207 607 9794 or visit www.hng.org.uk/room-hire for further information.